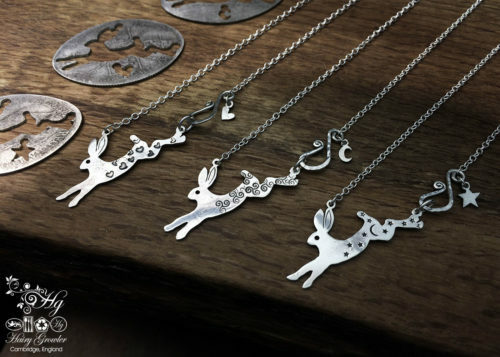 Hares and rabbits have always enthralled me and my attention. 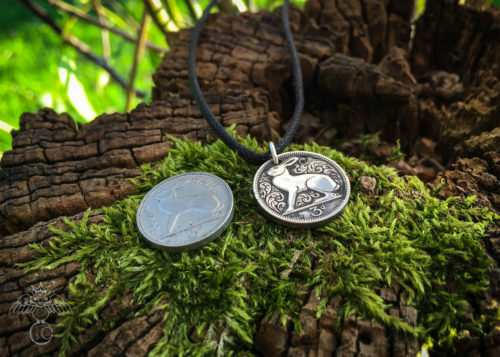 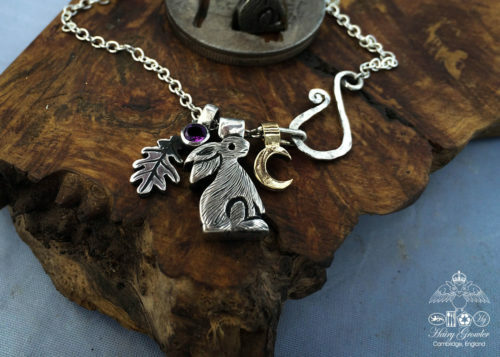 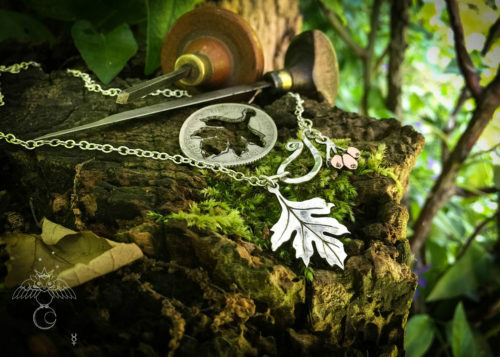 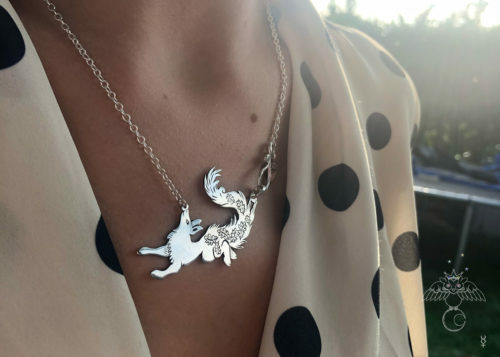 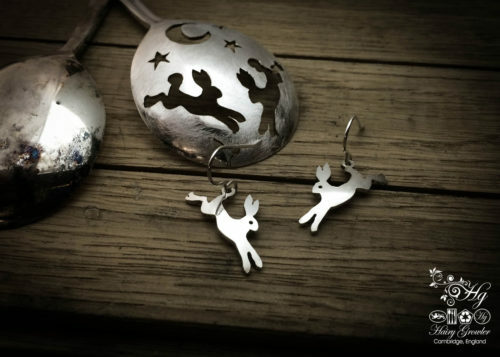 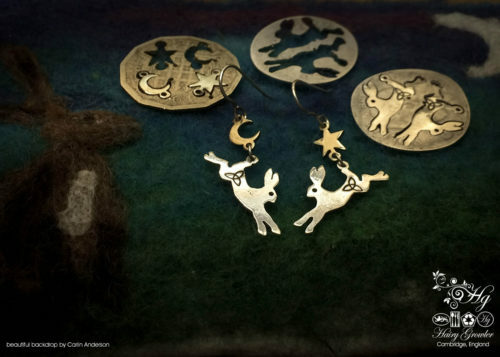 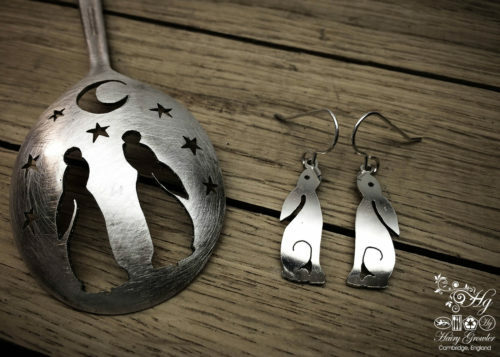 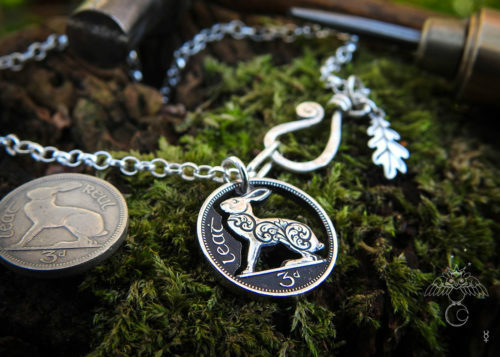 This lovely mystical leaping hare pendant has been gently handcrafted from an old sterling silver English Two Shilling Florin coin. 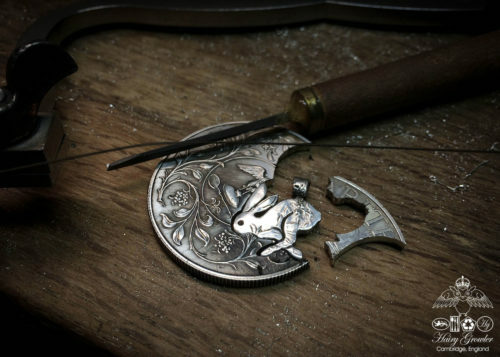 The coin has been forcefully flattened, hand cut, filed and polished. 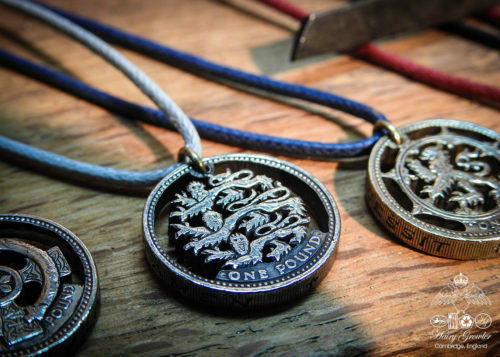 The look and feel of this old English silver is perfect. 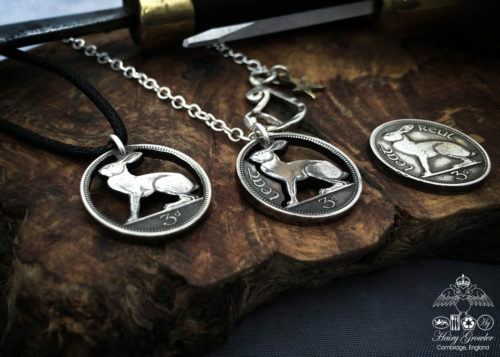 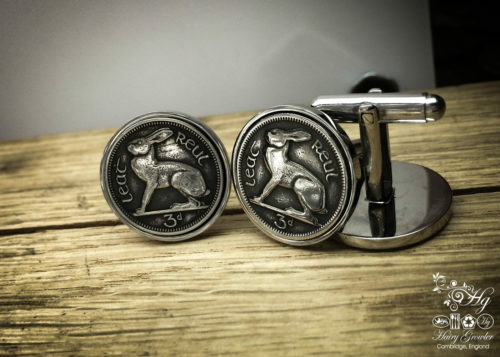 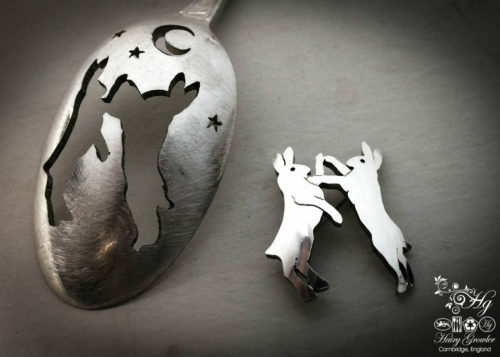 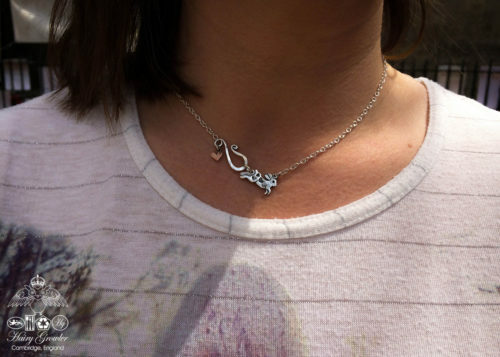 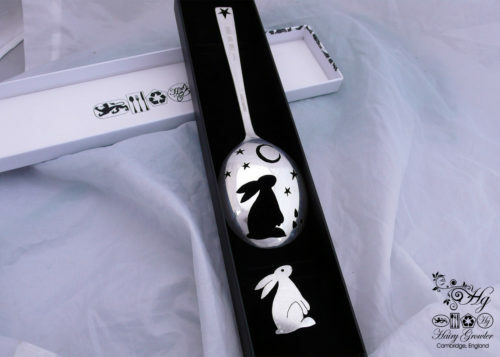 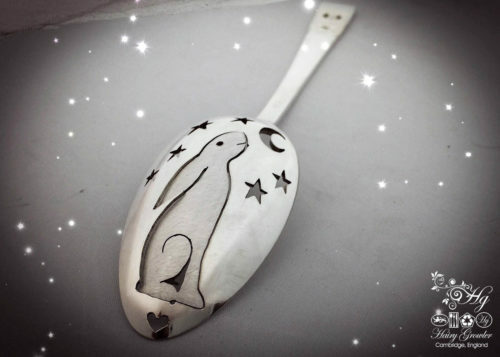 Small import and details are engraved to finished the hare. 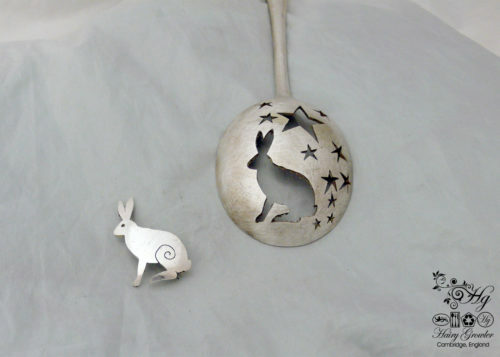 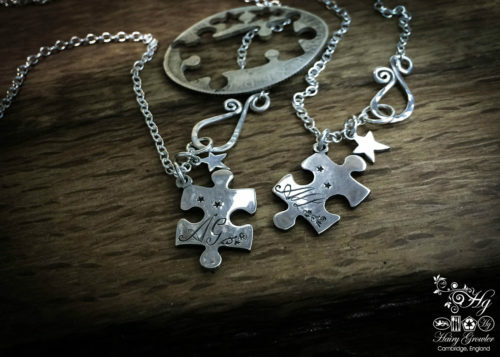 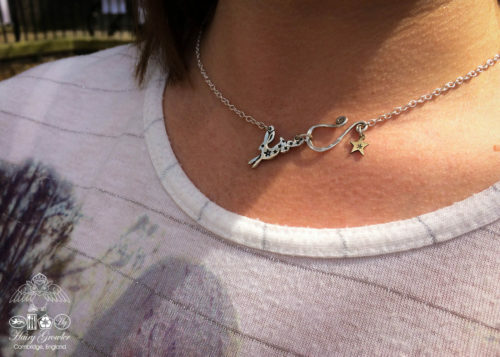 Magic is then applied with the addition of the moon and stars cut from a lovely old ‘thrupney-bit’ threepence coin.